A startling and haunting vision of the world, 1984 is so powerful that it is completely convincing from start to finish. No one can deny the influence of this novel, its hold on the imaginations of multiple generations of readers, or the resiliency of its admonitions—a legacy that seems only to grow with the passage of time. 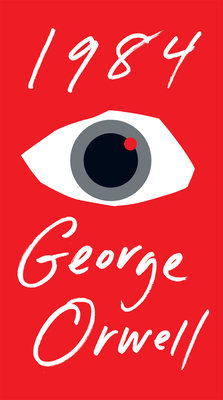 George Orwell (pseudonym for Eric Blair [1903-50]) was born in Bengal and educated at Eton; after service with the Indian Imperial Police in Burma, he returned to Europe to earn his living penning novels and essays. He was essentially a political writer who focused his attention on his own times, a man of intense feelings and intense hates. An opponent of totalitarianism, he served in the Loyalist forces in the Spanish Civil War. Besides his classic Animal Farm, his works include a novel based on his experiences as a colonial policeman, Burmese Days, two firsthand studies of poverty, Down and Out in Paris and London and The Road to Wigan Pier, an account of his experiences in the Spanish Civil War, Homage to Catalonia; and the extraordinary novel of political prophecy whose title became part of our language, 1984.